AMERICA'S MIDDLE-CLASS IS DONE: STICK A FORK IN IT! We are losing the America we once knew. The American Dream is slipping away as the global elite class wrests power, wealth, and influence from the vast but downtrodden majority in a power game rigged from its inception. The real tragedy is that this could have been prevented. The Declaration of Independence birthed America with a brilliant and novel vision. This process is deliberate, sinister and will continue, unless we do something about it. Download R.I.P. 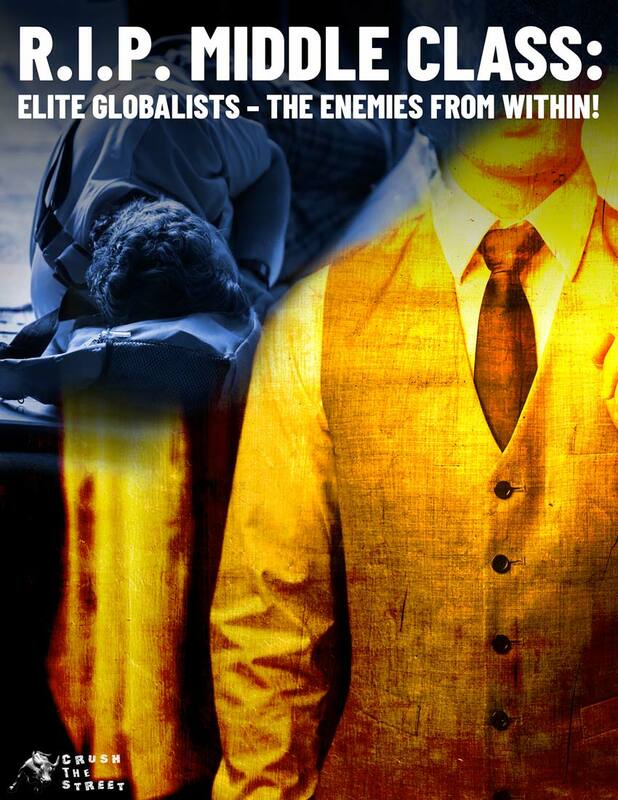 MIDDLE CLASS: Elite Globalists – Enemies from Within now!